More than a week after the Tamil film industry and the Theatres Association decided to go on a strike, following an abnormal ticket price hike by TN Government, the two parties have reached an agreement. As a result, all decks have been cleared for new films to release in theatre with immediate effect. The Tamil film industry was fighting against double taxation and the Tamil Film Producers’ Council, headed by Vishal, demanded that the local entertainment tax needs to be removed; however, the government didn’t agree to these demands. As per the latest agreement, the tax has been reduced from 10% to 8%. Buzz is that after the fixing the base price of tickets in multiplexes at Rs 150, following a revision after 10 years, the final ticket price is close to Rs 206 after added all the taxes. In non-multiplex theatres with AC, the ticket price is at Rs 127, and non-AC theatres have been asked to price the tickets at Rs 101. 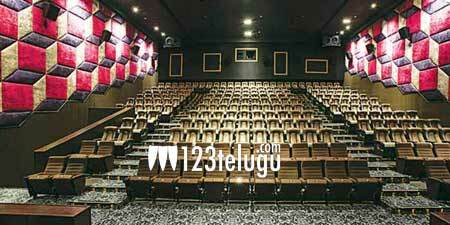 While the film industry can heave a sigh of relief that the stalemate has come to an end, it remains to be seen how the audiences will react to these revised ticket prices. In any case, all hurdles have been cleared for Vijay’s upcoming film Mersal to release in theatres for Diwali.